What started as a simple notice on a website created an overwhelming expression of love from quilters all across America. 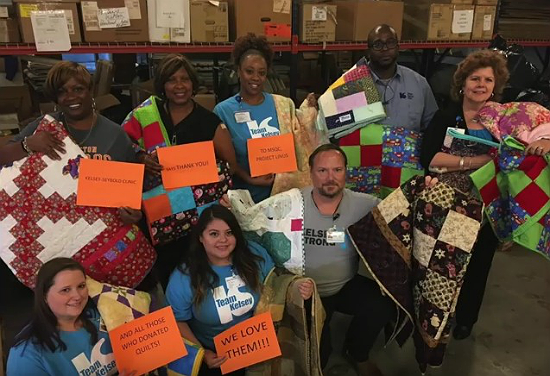 In 2017, after hurricanes Harvey, Irma and Maria, the Missouri Star Quilt Co. asked for donations of quilts and pillowcases. They didn’t know if anyone would respond but quilters stepped up in a big way. 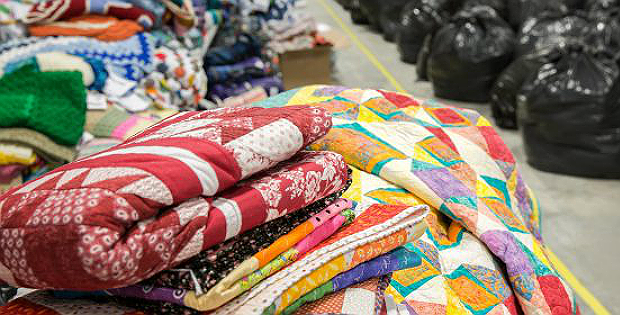 Over 9,000 quilts, blankets and pillowcases were donated. We’ll let them tell the story. It’s truly heartwarming, inspiring and speaks to the loving and generous hearts of quilters everywhere (you may want to keep the tissues handy!). Just click to watch the following video. We were so impressed to find a list of those who donated at the end of the video, even finding our local quilt groups on the list. You may find someone you know there, too. 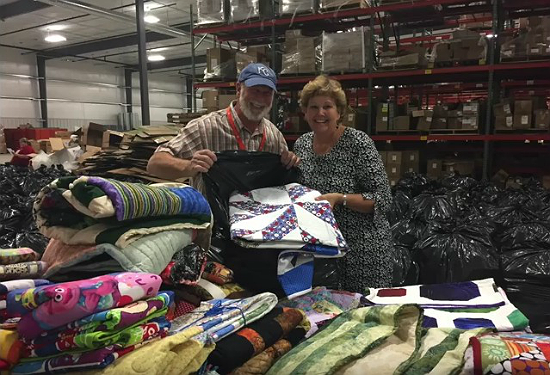 The Missouri Star Quilt Co. is still accepting donations and will see that they’re distributed when the next disaster strikes. Click here for instructions on where to send quilts and pillowcases for disaster relief. Be sure to write “Disaster Relief” on the package. Thank you, MSQC, for all of your effort in collecting, organizing and distributing the donations. 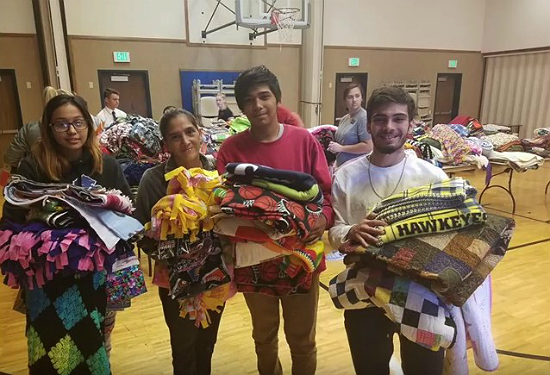 And, a big thanks and hugs to every quilter who donates their time and effort to those in need, whether in your community or across the world. Your kindness and generosity truly make a difference. Image Source: The photo at the top of the page is from Missouri Star Quilt Co.